I mentioned in a previous post that I’m a WINNER, thanks to a grand opening contest from Off Broadway Shoe Warehouse. My prize is a “closet solution” from California Closets up to a certain amount of money.1 I signed the legal paperwork agreeing to accept the prize (and pay the requisite taxes, of course), so now I’m waiting for my California Closets consultant to contact me to set up an appointment. The impending professional organization consultation has motivated me to do a bit of pre-emptive cleaning out, and I took a few boxes of clothing and various other items to the Habitat ReStore today. Plus, an “organizing solution” couldn’t come at a better time, since I currently have a roommate, which means I had to move shoes Stuff from my walk-in closet (aka spare bedroom) in to my bedroom. In the losing category, I’ve been applying for academic jobs, and I received my first official rejection email.2 Let’s be clear here: I fully expect to not get offered an academic job for 2014-2015 (yes, the whole academic job process is long and drawn out and quite unlike the real world). In fact, I have not even emotionally prepared for the possibility of being offered a job and subsequently leaving Athens. Nevertheless, the first rejection email (of many, I’m sure) seems worthy of mention. I didn’t really want to move to Kalamazoo anyway. 1. Based upon this company’s website and likely price points, it’s possible that I will receive a three-shelf bookcase for my winnings. 2. Academics who wish to teach at the college level are generally at the whim of the academic job market. That is, getting a job requires a match of schools needing a musicologist, particularly one who specializes in a particular area or time period, and a location that the prospective employee would be willing to move (because it’s generally not the place one earns his or her PhD)… and no, there really aren’t that many, and yes, it actually works out sometimes (I think). Let’s agree that my absence here at the blog has to do with the massive amounts of work I’ve been doing on my dissertation. Whether that is true or not happens to be another story, but for now, let’s just agree on the “working on dissertation” premise. Sunday, we did this song again, and the bass slides made me happy, as always, and our lead guitar player played WITH a slide on “How He Loves,” which was awesome. Also, Worship Pastor sang some oh’s (and/or whoa’s) in one of my favorite songs that we do (this link is to a “remixed” version of the song; the oh’s/whoa’s begin at 2:04).1 This was exciting as I’m quite a fan of nonsense syllables used judiciously in songs. 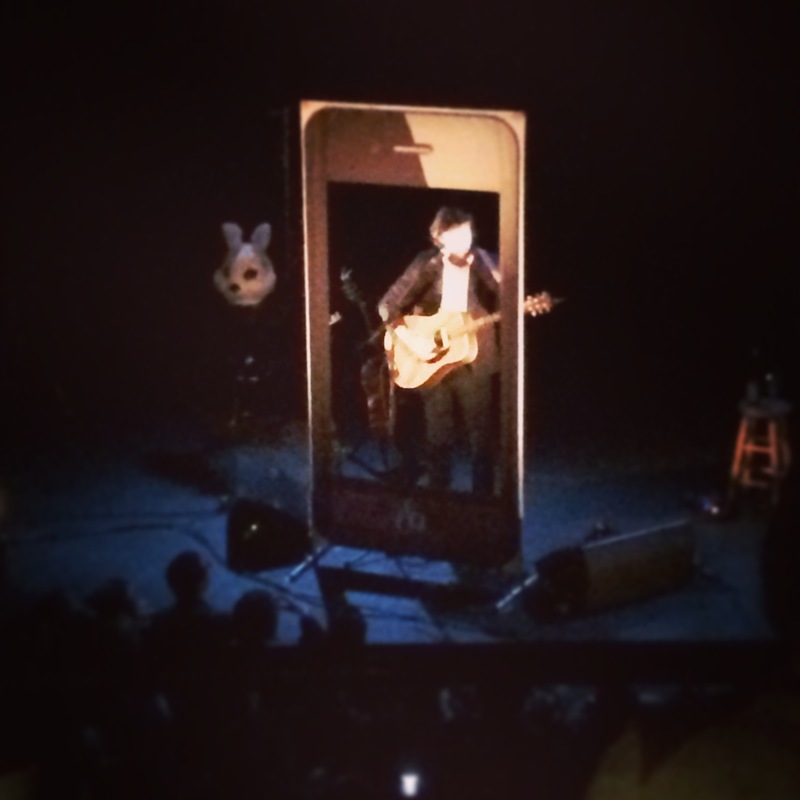 On Saturday night, I saw a solo Father John Misty (aka J. Tillman) show. He also is a fan of oh’s, ooo’s, and whoa’s based upon his songwriting. Finally, college basketball is back, and the newest version of the Kentucky Wildcats looks to be special. Also, Georgia-Florida is upon us. Go Sports! I hope we win. 1. Also, I have a “no reading internet comments” policy in my life that I try very hard to follow, and I’m guessing you should too when it comes to that video, well, because the internet, and also because of this. 2. Can we also acknowledge the fact, that despite the comments thing mentioned in note 1 above, the internet is also a fount of knowledge: it showed me how to add footnotes to my posts! Hooray internet! Last week, my shoe broke (so of course, as suggested to me by a friend, I just HAD to buy some new shoes this week), but this week at the church, we were not immune to the Things Breaking Bug. In the Sanctuary (aka the Other Room), one chunk of our stage lights has been unreliable, refusing to stay on and only turning back on when the the breaker is flipped. On Sunday morning, these lights were behaving like a toddler, finding it ever amusing to continually turn off after I (and/or Papa) ran to the breaker to turn them on (and no, I do not attribute agency to these lights, it’s just a metaphor…). Also, we use in-ear monitors, and most folks on our team have their own nice headphones (or “ears”) to use every week, but we also have an extra pair around just in case (plus mine, which I don’t use all of the time). Since we had a few lot of new folks playing this week, all of the extras were in use, and when one of our Female Worship Leaders realized her ears were messed up, I found a pair of not-so-nice-but-better-than-iPod-earbuds for her to use. As she was messing with them, she pulled one of the earbuds OFF, rendering them mostly useless. Thankfully, I was able to find her yet another pair of not-so-nice-but-better-than-iPod-earbuds for her to use, and even more thankfully, she didn’t tear those apart! Finally, Worship Pastor was running sound this week, which left me free to lounge around, eat, and take photos in the booth worry mostly about production stuff and syncing and what not. Although it was a little odd not worrying about sound, this might be the wave of the future, if things work out the way we think… which probably means more #boothtweets. In any event, let’s hope the Things Breaking trend has officially ended! We didn’t do a great job of syncing the syncing song, and once again, Senior Pastor was stopped mid-welcome in the Other Room and told to wait until our room was ready… of course, no one in our room had *any* idea that something funny (and maybe a teensy bit awkward) had just happened in the Other Room. I’ve mentioned here before that I (and others) run around a lot on Sunday morning. And I think I’ve mentioned that I usually always wear heels. Yesterday morning, as I was making one of many treks across our campus, I noticed something strange about my shoe. I looked down… and it had broken. I was certainly still wearable, and kind of walk-able, but to me, six-inch wedge, broken, and shoe all sort of add up to a (possible) broken ankle in my book, so I went barefoot for a while. Thankfully a friend (a dear friend’s husband, also part of our tech team) was on the way to church and able to stop by my house to pick up a pair of fully functioning heels for me, and all was well. I had planned to post a photo of the sad, broken (hopefully fix-able) shoe, but it appears I left them in the booth. In any event, we can all rest easy knowing that half of a pair of really cute wedges are managing things in the booth right now, and maybe I’ll update later with a pic.